Guided meditation is a gentle but powerful strategy for overcoming stress and emotional issues in your life. The practice can elicit positive changes in your life. A good meditation for beginners starts with intentionally deciding a time of day when you will be quiet, pause, and establish contact with your body and breath. There’s really no special place to meditate, but it is good to find a somewhere where you won’t be disturbed. It is recommended that if it is possible, use the same place each time. This will be a big help in helping you settle in the practice of mediation quicker. However, you can actually meditate anywhere, even in the office or in public transportation. Quieting the mind and strengthening your mindfulness. Mindfulness is the state of being connected with the moment and forgetting about future worries. Mindfulness naturally results in kindness, compassion, and forgiveness. Guided meditation anger. Meditation helps people deal with their anger issues. Many people are dealing with a lot of anger in their lives. Each person has an intensity of anger within them that if allowed to increase, will certainly result in negativity in their lives. Guided meditation helps people improve their cognitive abilities. As a result, you become more focused at work, have more concentration, increase your ability to memorize, and develop skills quicker. Meditative practices will help you gain stronger control of your mind because you are more aware of your own thoughts. There are exercises that help people whose minds wander all the time. 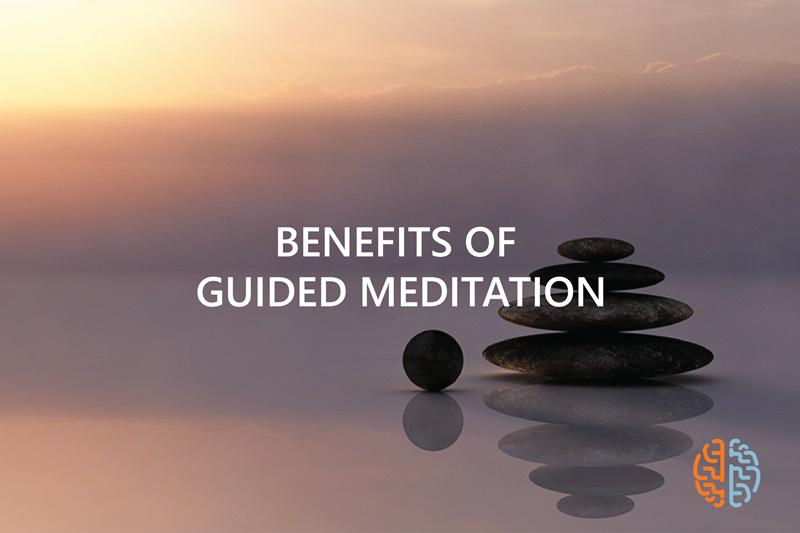 Guided meditation can change your emotional and spiritual well-being. During practice, there may be instances when you will be asked to listen to positive statements or even recite uplifting statements about yourself. Using the principle of the power of the spoken word, you will see that these declarations will begin to change you on the inside. Guided meditation helps with issues of depression and anxiety. Meditation brings you to a very deep level of relaxation, which helps curb anxious tendencies and negative thoughts. There is a current study that states that 90% of people who have committed to the practice started feeling changes in their lives and the way they deal with everyday situations in a matter of weeks. Meditation for beginners might be a challenge, but we encourage you to stick to it to experience its benefits and transform your life.